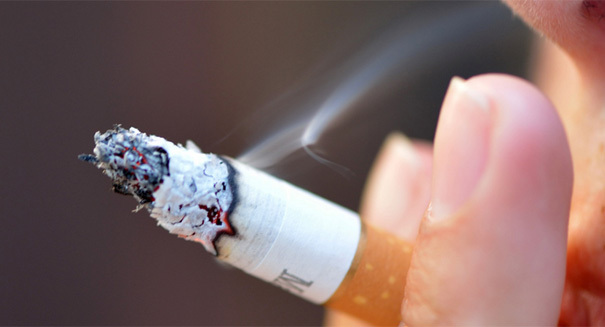 A big new discovery by scientists could help you kick cigarettes for good. Scientists have figured out the best way for you to eliminate cigarettes from your life for good — but you may not like the answer. The study, published in the Annals of Internal Medicine, reveals that doing it cold turkey is the most effective method of quitting rather than using gradual methods, according to a University of Oxford statement. A team of researchers was examining the question of whether it’s better to quit abruptly or gradually, and recruited 700 smokers in England, having one group try the cold turkey method and the other group reduce tobacco use over a period of two weeks, with both groups getting nicotine patches and support from medical staff. The study results were quite interesting: 22 percent of those who quit cold turkey hadn’t gone back to cigarettes after six months, compared to just 15.5 percent of those who tried the gradual method. Although the smokers were assigned into the gradual or abrupt groups randomly, they were asked about how they preferred to quit before the study, and interestingly it seems this affected the results. Those who wanted to quit right away had a 52 percent chance of getting past the four-week mark without smoking, as opposed to 38 percent for those who wanted to try the gradual method, meaning that the latter group possibly didn’t have as much motivation to stop. “The difference in quit attempts seemed to arise because people struggled to cut down,” Dr. Nicola Lindson-Hawley, who led the research, said in the statement. “It provided them with an extra thing to do, which may have put them off quitting altogether. If people actually made a quit attempt then the success rate was equal across groups. We also found that more people preferred the idea of quitting gradually than abruptly; however regardless of what they thought they were still more likely to quit in the abrupt group.